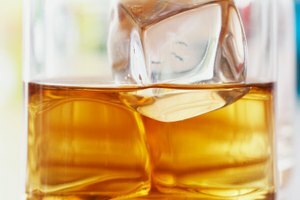 Straight Jack Daniel's or Jack on the rocks may not be your idea of a tasty beverage. 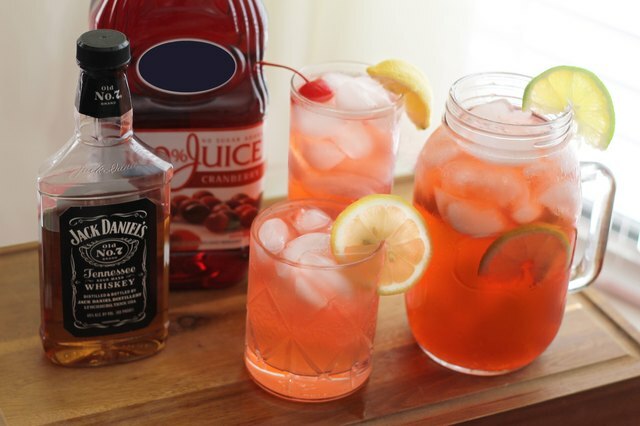 Combining the whiskey with cranberry juice and other sweet mixers lightens up Jack Daniel's characteristic assertive flavor. Even with other ingredients, mixed drinks containing Jack Daniel's carry a strong punch; enjoy them in moderation. 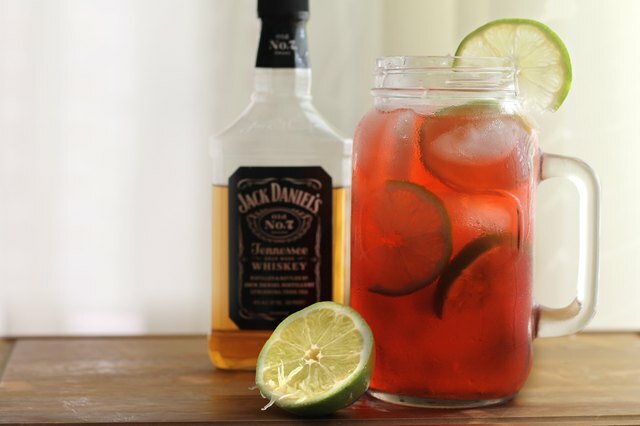 Make a cranberry Jack by combining Jack Daniel's Tennessee whiskey with cranberry juice, sweet and sour mix, lemon-lime soda and Chambord, a French liqueur made of cognac flavored with raspberries, blackberries, honey, citrus peel, vanilla and a variety of herbs and spices. 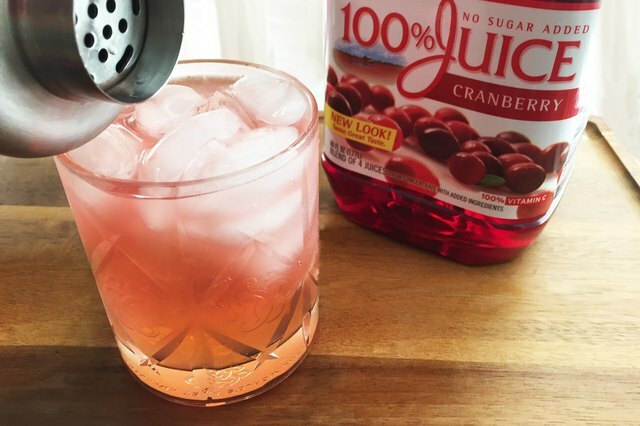 To make a Cranberry Jack, combine two parts sweet and sour mix with one part each Chambord and cranberry juice and 1 1/2 parts Jack Daniel's in a cocktail shaker. Combine the ingredients thoroughly, then pour the mixture over ice and add a small amount of lemon-lime soda to taste. Jack Daniel's Tennessee Honey is a 35 percent alcohol-by-volume combination of their original whiskey mixed with honey liqueur. Use it to make honey punch, a cocktail featuring sour mix and three types of juices, including cranberry juice. 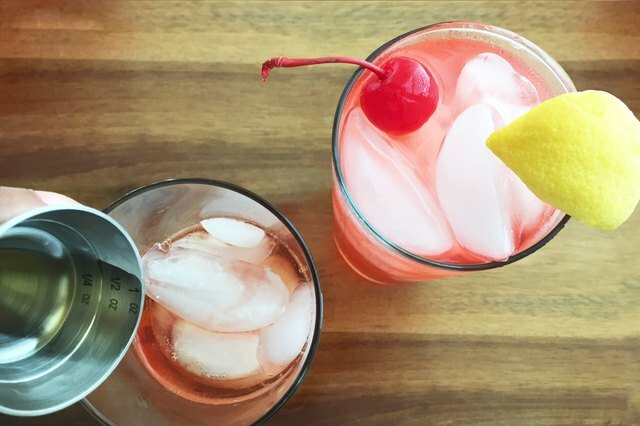 In a highball glass filled with ice, combine equal parts Tennessee Honey, cranberry juice, cherry juice, apple juice and sour mix. 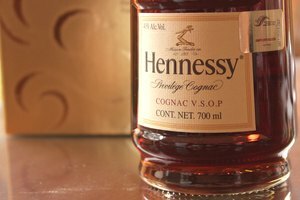 For a single drink, plan to use 1 1/2 ounces of each ingredient. Stir thoroughly and serve with a cherry on top. The Jim Kroener cocktail -- it's not clear where the name originated -- flavors the whiskey and cranberry juice combination with lime juice, sugar and vanilla syrup. For a single drink, mix one part cranberry juice and vanilla syrup -- approximately 2 ounces each -- with six parts Jack Daniel's. Stir in one part freshly squeezed lime juice and three parts sugar. Jim Kroeners are traditionally served in large Mason jars. You can purchase vanilla syrup or make your own by boiling equal parts water and sugar with a sliced vanilla bean until the sugar dissolves. Peach schnapps is made from a clear, tasteless grain-based alcohol that's combined with sugar and peach flavoring. It's paired with Jack Daniel's and cranberry juice for a simple mixed drink called the Wild Wild West. 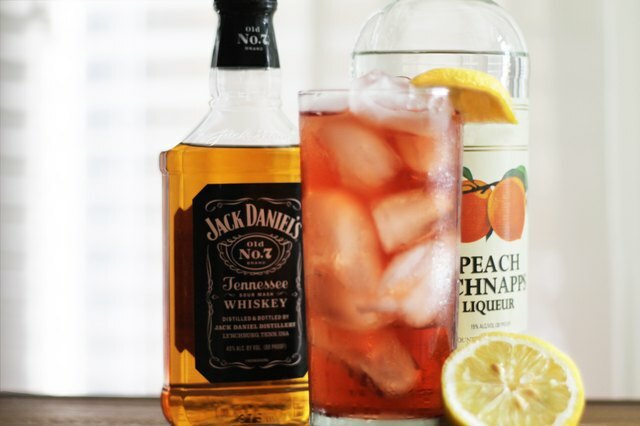 Stir together one part peach schnapps, one and one-half parts Jack Daniel's and two parts cranberry juice. Serve the cocktail in a tall glass, with or without ice. If you don't like peach, experiment with different schnapps flavors, such as blackberry, cherry, apricot or black currant.